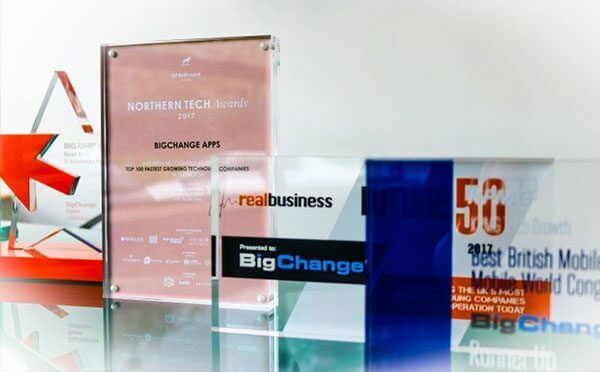 BigChange ranking 12 out of 100 in the Northern Tech Awards league table compiled by government-backed Tech North in association with GP Bullhound, the European technology investment bank. The awards recognise the entrepreneurs and businesses that have led the growth of the Northern digital economy in the past few years. Winners were selected by a panel of high-profile judges including Richard Flint, Chief Executive of Sky Betting and Gaming, David Rowan, former editor of WIRED UK, and Carol Kane, CEO and co-founder of Boohoo. Ranking in the top-15 on the league table recognises BigChange’s sustained year on year growth exceeding 85%. The company was founded in 2013 by Leeds based Entrepreneur Martin Port who has a track record of growing successful ventures in the Telematics and Mobile Workforce space. Martin was previously the 2008 Ernst & Young Entrepreneur of the Year for Technology and Communications and his Telematics business Masternaut ranked in the Sunday Times Tech Track 100 in 2007, 2008 and 2009. BigChange’s 3-in-1 Mobile Workforce Management platform ‘JobWatch’ combines cloud based CRM and Job Scheduling with an Android mobile app for drivers and technicians, plus real-time tracking of vehicles, assets and resources. The technology is used by over 15,000 subscribers across 500+ small, medium and large sized enterprises. The platform works out of the box, offering rapid implementations for businesses of any size and in any sector. Clients include Komatsu, HSS Hire, Serco, Silentnight, Elliott Group and Hargreaves Logistics. The Northern Tech Awards celebrate the continued expansion of the Northern digital economy, which continues to go from strength to strength. In 2016, the winner of the Overall Judges’ Award, Skyscanner, served as a shining example of Northern success when it was sold to Chinese travel company Ctrip for £1.4bn.